Nant Capital’s $70.5 million investment in Tribune Publishing is seen as an attempt to fend off a takeover by Gannett Co.
NEW YORK — Billionaire Patrick Soon-Shiong, a biotechnology pioneer, wants to bring the print newspaper back to life. On Monday, Tribune Publishing Co. said Soon-Shiong’s Nant Capital had made a $70.5 million investment in the publisher, a move seen as an attempt to fend off a hostile takeover by Gannett Co. Soon-Shiong will become vice chairman of the board, and Nant Capital will have a 12.9 percent stake, making it Tribune’s second-largest shareholder. In an interview, Soon-Shiong, a 63-year-old surgeon and chief executive of NantKwest Inc., a cancer-research firm, said he wants to use “machine vision” technology he’s developed to transform the experience of reading a print newspaper. 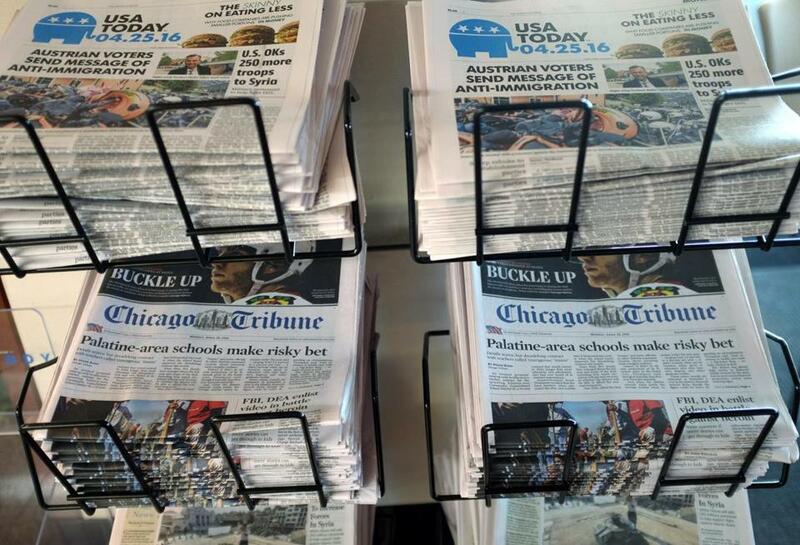 The Tribune’s portfolio of newspapers includes the Los Angeles Times and Chicago Tribune. For example, a reader could pan a camera across a physical newspaper and the photos could be turned into video. Focus the camera on a photo of basketball star Kevin Durant or Donald Trump and “you’d hear him speaking or Kevin Durant would be dunking,” he said. Tribune owns newspapers including the Hartford Courant, The Los Angeles Times, and The Chicago Tribune. Soon-Shiong became a billionaire after selling two drug companies he founded. He sold APP Pharmaceuticals Inc., a supplier of drugs given through injections and intravenous drips, to Fresenius SE in 2008 for $4.6 billion. He then started Abraxis BioScience, maker of breast cancer drug Abraxane, and sold the company to Celgene Corp. for $2.9 billion. Abraxane still accounts for about 10 percent of Celgene’s product sales, bringing in $967.5 million in the 2015. Soon-Shiong received a $329.7 million pay package as NantKwest CEO in 2015, making him the highest-paid US executive last year, according to the Bloomberg Pay Index, a ranking of the top-paid executives at companies that trade on US exchanges. Soon-Shiong said he’s known Tribune chairman Michael Ferro for years. After Ferro became Tribune’s top shareholder earlier this year, the publishing executive visited Soon-Shiong in Los Angeles and saw the company’s technology firsthand, Soon-Shiong said. “We thought we could take this amazing technology and transition from what I’m doing in health care into the future of publishing,” he said. Soon-Shiong’s health-care experience aligns with Tribune’s new leadership. Ferro and chief executive Justin Dearborn led Merge Healthcare Inc., whose software helps doctors manage medical images. IBM acquired the company last year for $1 billion. Soon-Shiong also is a co-owner of the Los Angeles Lakers basketball team, a marquee professional sports team in Tribune’s biggest media market. Soon-Shiong said he planned to speak with LA Times management about how the paper and team could work together. 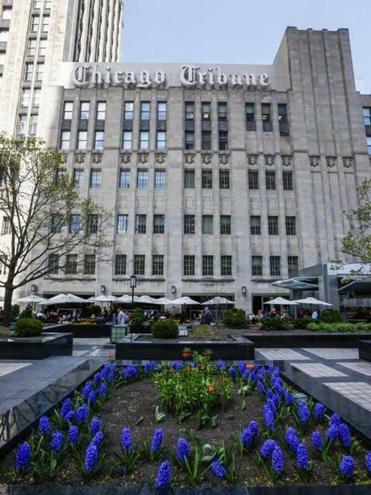 On Monday, Tribune rejected Gannett Co.’s latest takeover offer, escalating the battle between the newspaper companies. Gannett’s revised proposal is “clearly inadequate,” Dearborn said in a statement. The $15-a-share proposal from the publisher of USA Today was 22 percent more than its original bid of $12.25 offered publicly on April 25. Tribune sank in New York trading. Soon-Shiong’s investment would put his company ahead of Oaktree Capital Management, which called last week for a board committee free of Ferro’s influence to consider Gannett’s offer. The moves announced Monday are the most aggressive yet by top shareholder Ferro to fend off Gannett.